nine − 8 = Required Please enter the correct value. 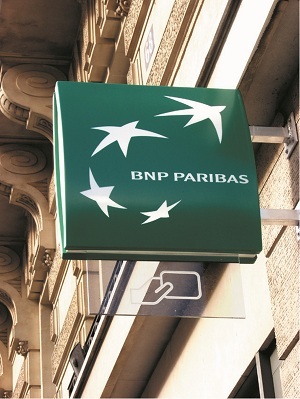 BNP Paribas fine update: A criminal probe into BNP Paribas SA financial dealings with U.S.-sanctioned countries wrapped up Monday as France's largest banker settled with a number of U.S. regulatory authorities for $8.8 billion. The settlement's price tag sets a record for financial institutions violating U.S. sanctions. BNP was charged with providing dollar clearing services and disguising transactions for Sudanese, Iranian, Cuban, and Burmese clients, all of which face economic sanctions and are prohibited from access to certain financial services in the United States. These violations were carried out despite concerns from employees within the bank, and BNP's lawyers advising against it. "By providing dollar clearing services to individuals and entities associated with Sudan, Iran, and Cuba – in clear violation of U.S. law – BNPP helped them gain illegal access to the U.S. financial system," U.S. Assistant Attorney General Leslie Caldwell said in a press conference yesterday (Monday). "In doing so, BNPP deliberately disregarded U.S. law of which it was well aware, and placed its financial network at the services of rogue nations, all to improve its bottom line." The bulk of BNP's violations came from dealings with Sudan. The U.S. Treasury's Office of Foreign Asset Control identified 2,663 wire transfers totaling about $8.4 billion between 2005 and 2009, in violation of U.S. sanctions. The probe also uncovered 318 wire transfers totaling $1.2 billion between 2005 and 2012 involving Iran, 909 wire transfers of $689.2 million between 2005 and 2012 involving Cuba, and seven transfers of $1.5 billion between 2005 and 2009 involving Burma. Sudan is facing sanctions because of both its ties with international terrorism – most notably for housing al-Qaida leader Osama bin Laden in the 90s – and for the Sudanese government's hand in atrocities linked to the Darfur crisis. Iran faces sanctions for its indiscretions involving its nuclear program. Cuba has been under economic embargo since the 1960s, and Burma's sanctions began in 1997 with a then-ruling military junta's repression of democratic opposition. BNP made efforts to omit or disguise names and references in its Sudanese transactions.